If you are like us, you have no doubt sometimes felt like you are hitting all of the red lights when want to get somewhere quickly. Well, one Uber driver in NYC seems to have found a "green wave" of 240 lights. He beat his last record hitting 186 green lights from 2Ys ago. He videotaped his drive at 3:30am on Dec. 6th for verification, which shows how he slowed down or turned right when necessary to continue driving for his new record. 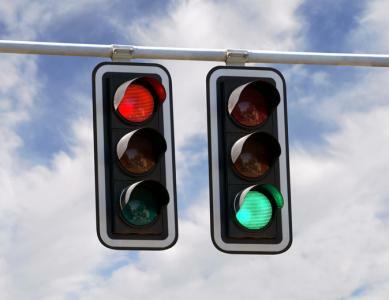 Somewhat similarly, M&A deals can seem like a green wave of lights at the start but may come to a sudden red light faster than expected. As community banks struggle with the high cost of regulation, some are giving serious consideration to the possibility of mergers and acquisitions in 2017. Despite expectations for a pickup in M&A activity among community banks, however, most bank executives believe that the current environment is unfavorable for deals. There is even recent evidence that seems to point out that M&A deals are rarely good for investors. According to a recent report from Bank Director, 46% of bank executives whose banks have made past acquisitions say they are likely to engage in M&A at some point in the year ahead. While a major motivation for M&A involving community banks in the past was to increase the acquiring bank's geographic reach, this is not always the case anymore. Now that customers do more of their banking online and through mobile apps, traffic at bank branches has steadily declined. As a result, the motivation for M&A deals has changed. These days, more often than not, one of the biggest drivers for acquiring a bank is to get experienced staff with a book of coveted business. This is particularly true with teams of lenders. In fact, 41% of respondents told Bank Director that the ability to acquire experienced commercial lenders is a major reason they are considering M&A deals. Rates are rising, but the lingering impact of low interest rates for such an extended time, along with increasing competition, the high cost of regulatory compliance, pressure from shareholders and an aging board may drive more activity. A Bank Director survey seems to show this as 25% of banks said they would be willing to sell in 2017, with regulatory costs cited as the biggest reason. However, as we said before, many M&A deals will fail to generate the value acquirers hope for. According to data from global strategy consulting firm L.E.K., not only do the majority of M&A deals fail to generate the shareholder value that companies initially expect, more than 60% of them are actually harmful to shareholder value. Among the biggest reasons that many M&A deals don't work out as planned is the fact that acquiring companies often fail to perform adequate due diligence, they are too optimistic about increased revenues from the acquisition, or they simply underestimate the difficulty of merging employees from two different business cultures. When it comes to community bank M&A deals in particular, one of the most important factors in determining a deal's likelihood for success, besides the price of a deal, is whether or not the target bank's previous efforts to boost its revenues had led to looser underwriting standards. Among banks that have recently abandoned plans to acquire community banks, 28% told Bank Director that they walked away because of underwriting standard concerns of the target banks. These and other issues have muddied the M&A waters, as 42% of institutions indicated that they would most likely not acquire another bank in 2017 and 56% stated they were unlikely to purchase additional branch(es) by the end of the year. How the M&A activity plays out for community banks this year is still uncertain. However, as the economic landscape unfolds and pressures mount, knowing the pitfalls and benefits will give you some things to consider when making M&A decisions. It is important to know that hitting all green lights in such matters takes a lot of skill, patience and careful driving. Yields spiked 7bp as investor confidence was spurred on by news of Trump advancing major oil construction. 1) Pinnacle Bank ($11.1B, TN) will acquire Bank of North Carolina ($7.4B, NC) for about $1.9B in stock (100%) or roughly 2.9x tangible book. The move vaults Pinnacle into the top 50 public US banking franchises in assets post deal, with $20B in assets. 2) Bank of Hope ($13.5B, CA) will acquire UniBank ($255mm, WA) for about $48.8mm in stock (100%). 3) Harbor Community Bank ($1.8B, FL) will acquire Jefferson Bank of Florida ($296mm, FL) for in about $40mm in cash (20%) and stock (80%). 4) Simmons Bank ($8.4B, AR) will acquire Southwest Bank ($2.0B, TX) for about $462mm in cash (15%) and stock (85%). In what seems like about the same as finding a tiny needle in a very large haystack, we would like to congratulate denovo Blue Gate Bank (CA) for raising more than $30mm in capital and officially opening its doors on Jan 23! This is the first new bank on the West Coast since 2009 and the 3rd in the US. Money transfer company Western Union agreed to pay $586mm to settle charges its AML controls were too weak and allowed millions of dollars of prohibited transactions to occur. The DOJ said it found hundreds of millions of dollars being transferred to China in an effort to circumvent federal bank laws, that much of the money was sent to human smugglers and that some agents at the company were complicit in the scams and received payments.